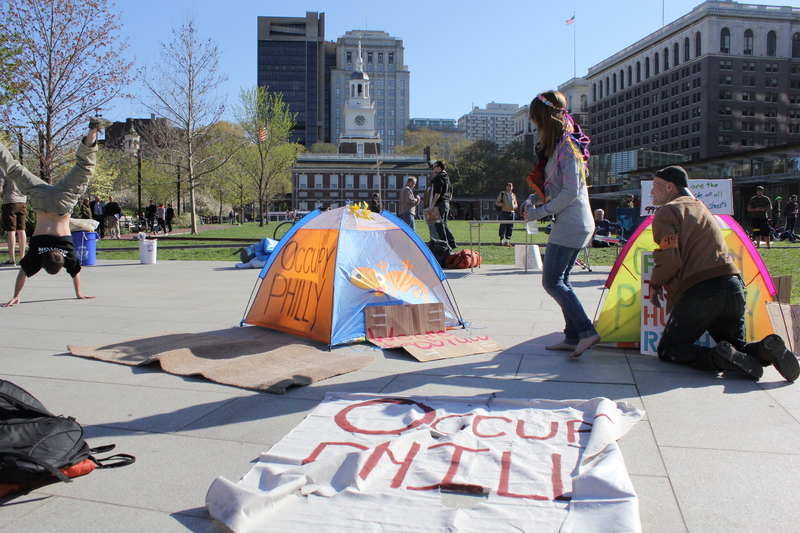 This entry was posted on Friday, April 27th, 2012 at 6:45 pm	and tagged with #BankSleep, Bank of America, Independence Mall, Occupy Philadelphia, Occupy Wall Street, sleepful protest, Wells Fargo and posted in Editorial. You can follow any responses to this entry through the RSS 2.0 feed. I’m a some what older sick and being beaten down pretty thoroughly despite being very well educated 9 grad school. law, Comm. Org. NonProf’s) and formally successful, safe and comfortable. Not any more. So much for a “Safety Net ” for people who worked hard all their “healthy” lives. I’ll do anything I can to help. 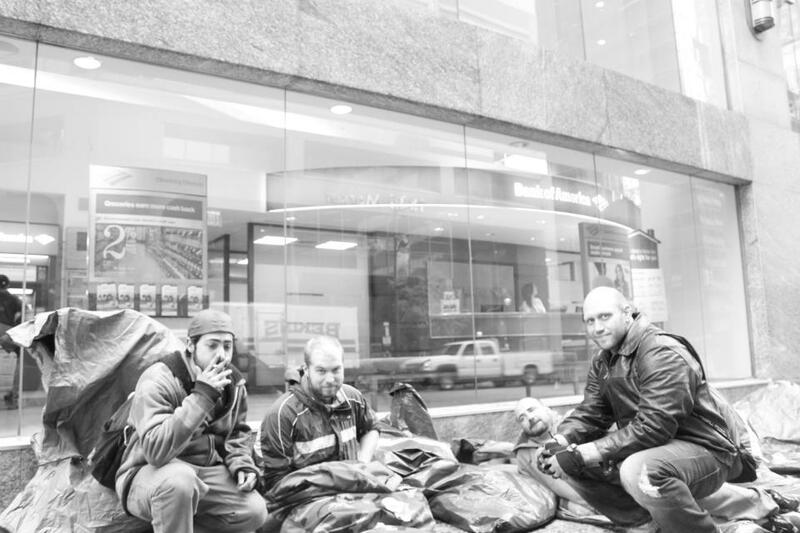 Now that it’s getting warmer, out side and making a difference sounds pretty good, even if it hurts a bit. Thanks Bill, and I’m sorry you’re having a rough time. I wish you the best.